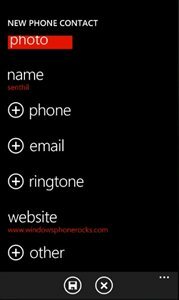 The Windows Phone SDK provides the SaveContactTask that enables the users to save a contact from your windows phone App . 2. 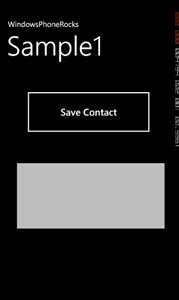 Declare Initialize the SaveContactTask along with the event handler for the Completed Event for SaveContactTask . 4. This will show the Screen which enables the user to modify / update the properties . The user should click the save icon to save the contact .